You can lose weight without starving yourself. You should consume fewer calories than what you burn off in order to effectively lose weight. Keep that in mind when planning your meals. Common belief holds that a slim person’s metabolism is high and an overweight person’s metabolism is low. But this isn’t usually the case. Metabolism alone doesn’t determine your weight. Weight is dependent on the balance of calories consumed versus calories burned. Take in more calories than your body needs, and you gain weight. Take in less and you lose weight. Metabolism is the engine that burns these calories and is the scale that regulates your energy needs. 2 tbsp reduced-fat cream cheese, room temp. In medium skillet, brown ground beef over medium heat until done. Drain off any fat. Add water and 1 teaspoon of taco seasoning and simmer for 3 minutes. Removed from heat and set aside to cool slightly. Cut each pita into eight wedges and place on baking sheet. Bake for seven minutes or until lightly browned. While the beef is cooling, combine the remaining taco seasoning, cream cheese, sour cream, and salsa in a small bowl. Mix well. Divide and spread this mixture evenly onto two small plates. Place eight baked pita wedges on each plate two servings. Place the pita on a baking sheet. Spoon pizza sauce evenly over the pita. Top with sliced chicken, peppers, zucchini and cheese. Bake for 10-12 minutes, or until the cheese is melted and the pizza is heated through. Let it cool for a minute, then slice and eat! Chop the whole egg and discard the yolks from the other three eggs, and chop the whites. In a small mixing bowl: combine all ingredients except the bread, lettuce leaf, and avocado. Toast the bread and place on a small plate. Top with lettuce, egg salad and avocado slice. In large mixing bowl: combine cooked chicken, coleslaw mix, and green onions. In another small bowl: combine sesame oil, rice vinegar, soy sauce, and ginger. Drizzle over chicken mixture and toss to coat. Divide into four portions and top with Chow mein noodles. Stabbity-stab the potato several times with a fork. Place it in microwave and cook on high 5-8 minutes until tender. Use knife to cut an “X” in the top of the cooked potato. Press ends slightly to open potato and pour chicken broth into opening. Top potato with cottage cheese, chicken, broccoli, and salsa. Place filled potato in microwave and cook on high for 30 more seconds. Sprinkle top with fresh cilantro. This is likely the easiest way to learn how to get visible changes in your body using weights. 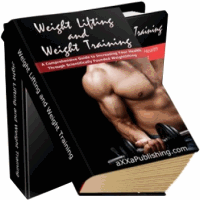 Modestly put: this is the most comprehensive report on weight lifting you will ever read. Special Offer — $37 for next 20 orders only	(or until Sunday midday). The book is in PDF format. *) Discover How A Hopeless Sugar Addict Freed Himself From His Uncontrolled Habits	And Rid Himself From That Life Destroying Addiction. Catchy title, eh? It's a guide	about addictions. After reading it you'll be equipped with tools and strategies	that help you overcome your addictions; you get methods of preventing cravings and	overcoming them when they come by. By signing to The Skinnyfat newsletter you might at some point receive	news. Maybe letter once a month at most, but not necessarily so often. Putting together	valuable information takes a humungus amount of time, and some effort.